Metro Property Group have proposed a new 30-storey tower at 13-17 Manning Street, South Brisbane. 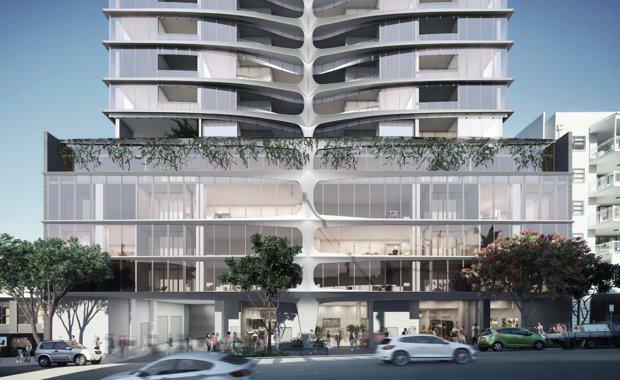 The Development Application states the project will be, "composed of a single tower atop a lush landscaped podium, Brisbane South Bank Tower presents a sculpted form that heralds the entry in to South Brisbane. "Designed by Elenberg Fraser, the tower will comprise six levels of basement car parking, and a lobby with adjoining retail space at street level. Three levels of podium car parking will also be activated with residential apartments to Manning Street. A further 26 levels of residential apartments will bring the total residences to 345.
here A004213280 to view the full Development Application.